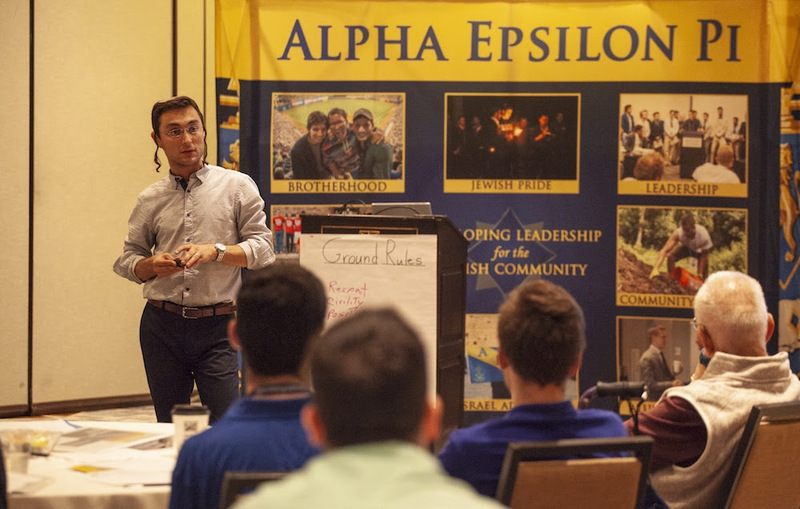 We wrapped up the third and final day of the Summer Leadership Series with Brother Aaron Weil, who reminded everyone not only the importance of being a Jewish leader, but taking what was learned in these conferences and using it to your advantage in your life and future. Leven Leaders finished working through the L.E.V.E.N. Learning Model, which they were then able to apply to their case study presentations to a panel of judges. The Institute is excited for these brothers to take the lessons learned over the last three days and apply them to their chapters, campuses and future professional endeavors. Today, Rabbi Benzion Klatzko spoke to attendees about the science of Judaism. Participants had an in-depth discussion on theology and how you can reconcile being an observant Jew in the 21st century. Most importantly, the conference ended with brothers game planning how to implement an emphasis on Jewish identity within their respective chapter. 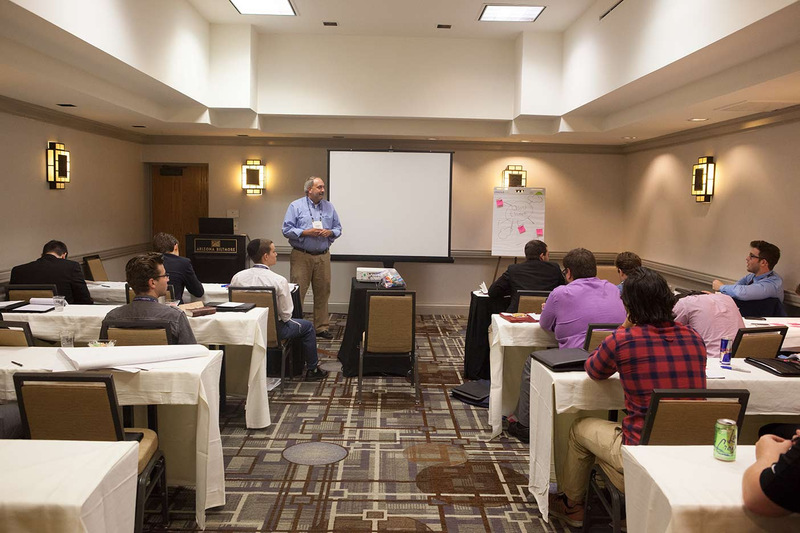 Participants heard from PSM Elan Carr (UC Berkeley, 1990), Steve Stern (Tulane, 1990) and Micah Kamrass (Ohio State, 2011) about their civic engagement journeys and the importance of the civics program. They also learned campaign tactics and debate prep from Civic Engagement Coordinator Scott Gerstel (Central Florida, 2018). AEPi Spokesperson Jonathan Pierce (Vanderbilt, 1986) discussed media relations and good press. Finally, the group was visited by Adam Maslia (Charleston, 2011) and Elisabeth Rosenfeld from the Israel on Campus Coalition. Together, they did a group exercise on network mapping and coalition building. 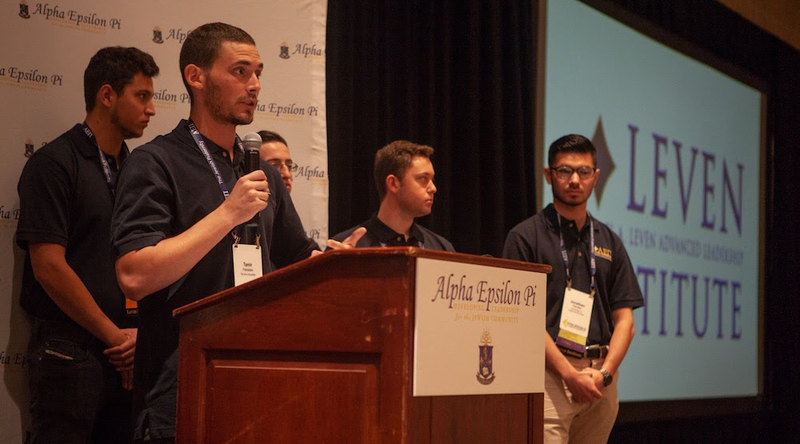 Brothers started off with training from the Anti-Defamation League (ADL) on defining and combatting anti-Semitism. After, brother Daniel Friedman (UC San Diego, 2011) spoke to attendees about how to deal with conflict, using the movie Black Panther for examples. Then, Keshet spoke to everyone about putting our values to action and creating a more LGBTQ+ inclusive environment. To close, PSM Rabbi Stanley Davids (Case Western, 1961) and slam poet Caroline Rothstein had an in-depth conversation about sexual harassment and Judiasm, and what actions we can take. Watching brothers grow over the duration of the Summer Leadership Series makes us #ProudtobeaPi. We can’t wait to see everyone today for the rest of #AEPi105! Safe travels. Thank you to all of our Summer Leadership Series attendees, speakers and guests for three days of learning and development! Don’t miss todays Career Day from 12:00 PM to 4:00 PM. Get your LinkedIn headshot, network with companies and learn how to best prepare yourself for your future career. 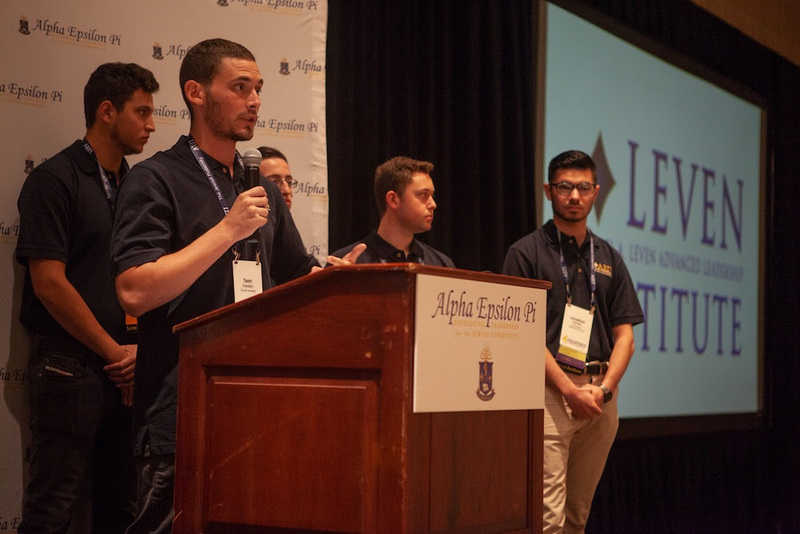 We look forward to seeing all of our brothers at tomorrow evening’s #AEPi105 opening session at 8:30 PM in Casa Grande/Flagstaff!